SEARCH OUR USED EQUIPMENT ONLINE. Introducing the industry-first 2 shifts on 1 charge guarantee. We are proud to be the exclusive SANY dealer in the U.S. for heavy forklifts and port equipment. Offering an extensive rental inventory from the most trusted brands. Search and manage your rentals online or with our app. The team at Equipment Depot is dedicated, knowledgeable and passionate. We are 100% committed to service. We proudly offer material handling, aerial lifts, specialty equipment, parts, service, rentals and used equipment. Our rich heritage dates back to 1951 and we are America’s #1 independent material handling and rental source. While others talk about performance, we guarantee it. Here’s our pledge and promise to be the best service company in the industry. Period. While others talk about performance, we guarantee it. Here’s our pledge and promise to be the best service company in the industry. Period. If the new equipment fails to perform as promised and you’re not satisfied, we’ll buy it back. It’s that simple. Have a concern? Not for long. Our employees are empowered to solve customer concerns on the spot. If you are still not satisfied, it’s elevated to the regional leader for immediate attention and resolution. All parts purchased from us are guaranteed for 6 months. Ready to roll 24/7/365. We guarantee a 4-hour emergency response time. If the forklift or aerial lift repair is not fixed right the first time or by the time promised, we will provide a loaner absolutely free. Rental equipment will be delivered on-time as promised or delivery is free. ABOUT OUR PROMISE TO YOU. HEAR FROM OUR PRESIDENT AND CEO ABOUT OUR PROMISE TO YOU. IT ALL BEGINS AND ENDS WITH THE BEST SERVICE. Yes, we’re big, but with 35 locations, we are also the local service that you can trust – Guaranteed. 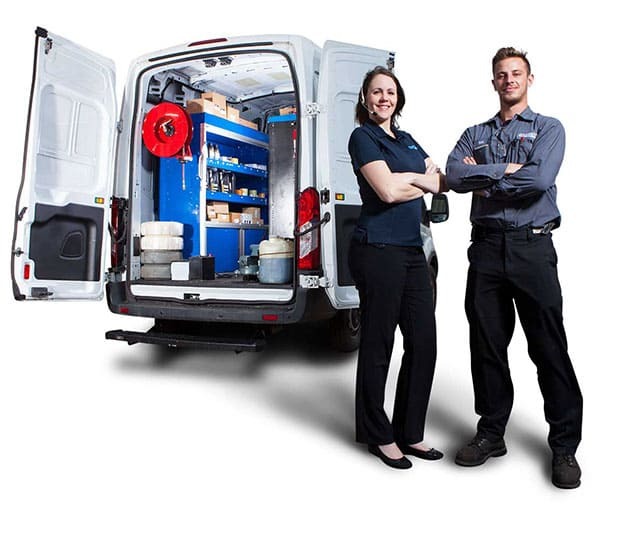 Our army of 750 technicians and fleet of service trucks cover 1,500 miles of territory. Our best-in-service promise and extensive service options, we’ll help you select the best plan for your operation and budget. A full range of programs are offered, including on-site, equipment operation and safety training and OSHA-compliant classes. FLEET EQ™ offer many advantages for handling day-to-day operational challenges and opportunities. Tap into our warehouse solutions from designing and planning to providing equipment and supplies. Our experienced and knowledgeable team is the foundation to our mission of helping our customers succeed by building partnerships with an absolute 100% commitment to service. From coast to coast, our EQ ONE suite assures our National Accounts one point of contact, and one set of prices for all of their equipment, parts and service needs. Our experienced team has an unwavering commitment to service and is ready to develop a customized solution to meet your operational needs. Move, stack, or store it, with our reliable selection of industry-leading brands of forklifts, reach trucks, pallet jacks and more. Rent the most trusted brands from our extensive fleet with on-time delivery guaranteed. Search and manage your rentals online or with our app. The best brands are within reach for scissors, booms, telehandlers and one-man lifts backed by the strongest team in the industry. Heavy-duty forklifts and port equipment for your toughest applications – backed by the Industry’s Strongest Warranty™. Our on-hand inventory of quality used equipment is available for immediate sale to keep your business moving. We have $12M in reliable and high-quality OEM parts inventory ready for shipping, offered at fair price to give you maximum value. Passion to perform, empower to act, being responsible for our actions, and enjoying what we do, every day! It’s reflected in our interaction with our customers and with our suppliers each and everyday. Read our latest headlines as the one-stop shop for equipment and warehouse solutions, providing best-in-class service and delivering on our Performance. Guaranteed. Quality service since 1951 and America’s #1 independent material handling and rental source. Our long-term growth and stability is backed by Pon Holdings, uniting 13,000 employees worldwide.